The Good: Doesn't take long for this movie to pick up the suspense. Within the first 15 minutes chaos is already beginning to ensue. The 3D scenes practically jump out at you, even if you see it coming. There are some really good scenes that will make you jump and possibly scare you. The plot does a good job of telling you about how the society and world has changed through the eyes of the main character played by Brad Pitt. The Reason: Overall this movie was entertaining. If you like zombie flicks then you'll probably enjoy this. The zombies are fast as ever in this. However it's not a very gory movie that you'd expect from a zombie movie. (It is only PG-13) If you watch this, I'd recommend the 3D, unless you're a scaredy cat. Not something I'd make a mad dash for at the theaters, but if you went, I don't think you'd regret it. This would also make an excellent rental if you are on the fence about seeing this after reading this review. 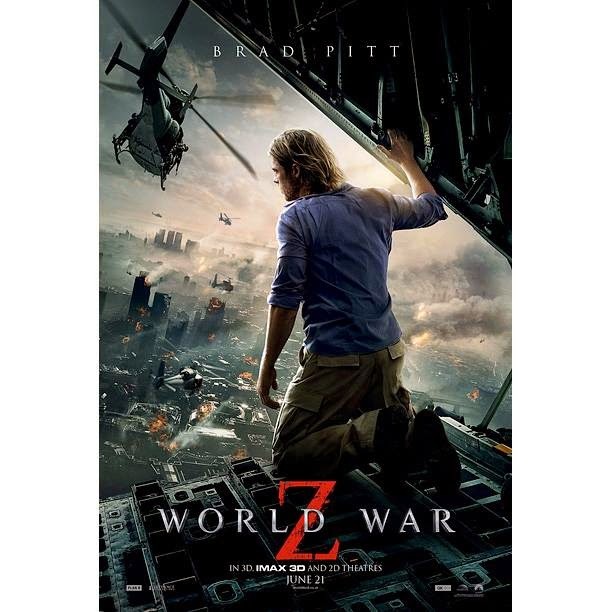 As a bonus, I think that after you watch this you should definitely read the book, World War Z by Max Brooks.